Take our FREE online CDL Practice Tests and pass your DMV exams, find Truck Driving Schools in your state and CDL Training essentials! Find Truck Driving Jobs in your area, helpful Trucker Resources, and check out the latest trucking news and entertainment. Our FREE CDL Practice Tests have been helping future truckers pass their state DMV Exams and get their CDL permits since 2004! 3 CDL Testing Modes - Classic, Practice, and Exam! Go to the CDL Practice Test Center. Find a truck driving school in your state and get on the road to a great career as a truck driver! School information, links to state DMV/DPS websites, CDL manuals, and more. Go to the Truck Driving Schools Directory and Guide. Whether you're just curious about a career as a trucker or you're an experienced driver, we should have something to help you! Trip planning, entertainment, electronics, cb terminology ... you name it! 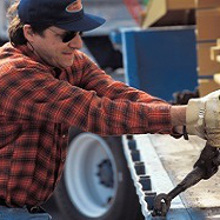 Check out our helpful Trucking Resources. Let us help you find your next truck driving job! Includes jobs with CDL training; company drivers and owner-operators; Long haul, regional, and local; dry van, reefer, flatbed, tanker, and more! 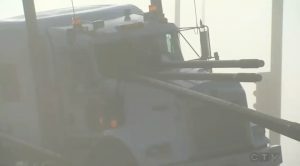 Start your search for a truck driving job now. Whether you’re just curious about trucking in general, or you know you want to be a trucker and just need a little help getting there, well, that’s why this site was created! Trucking is a tough profession, even when you live the truck driving job, and have been doing it for a long time. But if you’re new, it’s even harder. If you’re already on the path, you may have figured this out already! There are many questions you’ll need answers to. What’s a CDL? How do you get one? What’s a CDL mill? What tests do you need to take? How do you learn the material and pass the tests? Do you need to go to a truck driving school? What types of schools are out there, which kind should you attend, and how do you find a truck driving school? What if a trucking company offers “free” training? Is this a good idea? What type of driver do you want to be? How do you find a good driving job? Don’t worry, we’re here to help! Browse the site using the navigation at the top to find all the information, answers, and resources you need. If you’re already a truck driver, get familiar with the site. We have everything truckers need from trucking news, to information, entertainment, and much more. 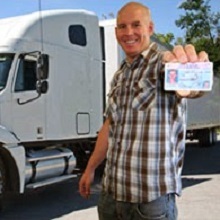 And if you just need to add an endorsement to your CDL, our practice tests are the best you’ll find online! We have trucker resources and products you’ll need to help you get down the road a little easier. And if you think of something we don’t have, or that could be improved, please let us know. We’re always looking to improve Trucker Country!